Aluminum AC V/S Copper AC - Which Is Best? While buying a AC you must be confused about Aliminum Vs Copper AC. You might be wondering which one is better. Which one you should buy. 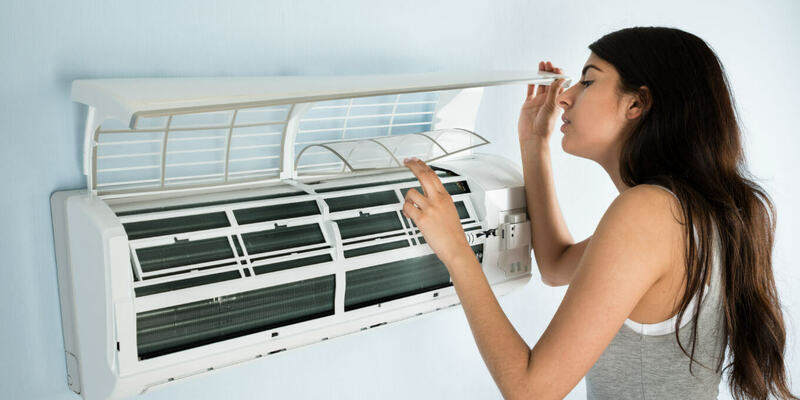 It is very difficult to tolerate the heat of summer in India without an air conditioner. 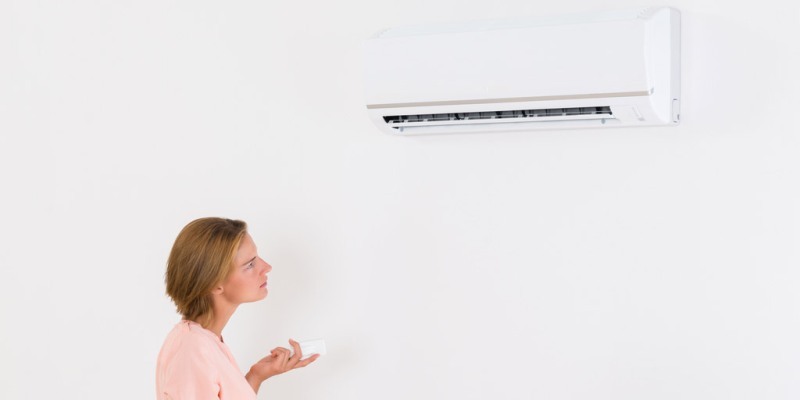 But when you go to purchase an AC for your room you come to know that there are several factors associated with an AC like star ratings, tonnage, types of the ACs etc. But the most important thing about which most of us are not aware that the metal of the coils of an AC whether it is an Aluminium AC or a Copper AC. And in such situations, a little ignorance can cost you much. Here, in this article, we will get a brief idea about what is the diffrence between Aluminium AC v/s the Copper AC. Why The Coils Are Important In An AC? 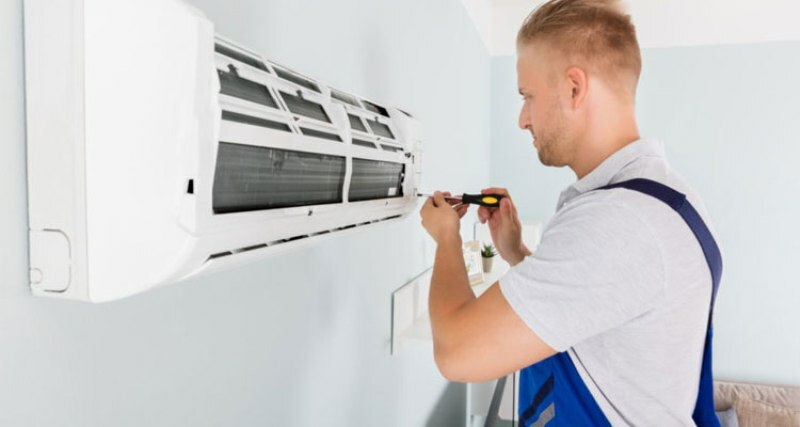 The coils in an AC play an important role in its efficiency of the HVAC system. 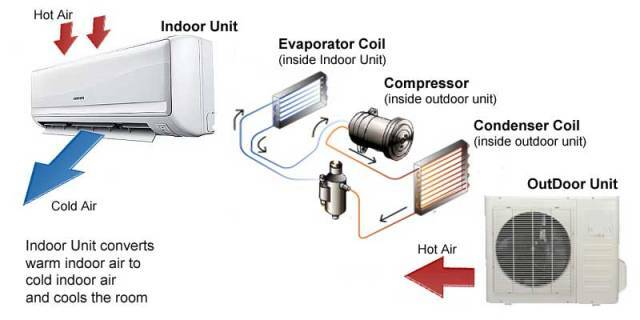 Through the coils, the heat from the inside air transfers to the outside air in an AC. There are two coils for the functional efficacy of an AC as the condenser coils and the evaporator coils. The refrigerant or coolant in the coils changes from the liquid to the gas by absorbing the heat from the air of the room passing over it. As a result, the air of the room becomes cool in this process. Then the gaseous refrigerant passes through these condensation coils by the compression process by releasing the heat into the surrounding air. Finally, this hot air blows out with the help of the exhaust fans of the Air conditioner. The functional process of the coils is the same in all types of HVAC systems of the air conditioners according to the size of the AC. Based on all the above points the refrigeration process of an AC is divided into 4 parts. During compression in the compressor of the AC the gas gets pressurized and converts into a high-pressured hot liquid. Then the high-pressured hot liquid flows through a coil where it refrigerants. After then the liquid converted into a cooler liquid by releasing heat into the outside air. This is the main function of the coils in an AC. Then comes the role of the expansion valve. It converts the high pressured liquid to a low-pressure liquid. Then the low-pressure liquid again goes through the evaporation coil to absorb heat from the room and changes to gas from the liquid form. Only this process happens in the indoor unit of the AC whereas all the other processes happen in the outdoor unit only in split ACs. DURABILITY Less durable than copper and needs repair. Therefore needs to be kept in strong cabinets. More durable and stronger than aluminium. HEAT TRANSFER Lower than copper. Better than aluminium. PLIABILITY In comparison to copper, it needs less metal for the coil. Needs more metal for the coil. CORROSION In the case of corrosion, Aluminium is difficult to repair. Hence, it needs replacement. Can also corrode, it is easily repairable and can be maintained with regular cleaning. REPAIRING Though it is difficult to repair in the field it needs replacement. Can be repaired easily in the field. MAINTENANCE FACTOR It is difficult to clean because of kept in the heavy cabinet. The cleaning of the microchannels also difficult when they get clogged with dirt and grime. Quite easier than aluminium to clean and maintain. Both the Aluminium and copper coils are different from each other because of their characteristics as follows. In an air conditioner, it is very important for the metal of the coil to have good heat transfer characteristics because the transfer of the heat takes place in the coils. When compared to Aluminium, copper has the highest heat transfer coefficient. It means that the copper coil in an AC is a better heat transferer than the aluminum coil. The pliability of a coil means the quality of being easily bent. When compared to copper Aluminium has a better bending ability than the copper into the desired shapes.In comparison to the cost factor, copper is costlier than Aluminium. 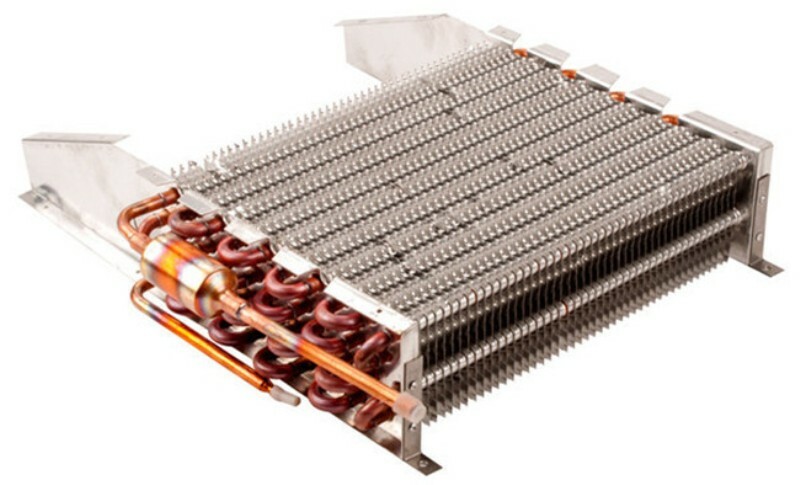 In an AC, to make a coil of same size and shape, the manufacturers need three times more copper to equate with the size and shape of the aluminum coils. This factor increases the cost of an air conditioner having the copper coil which makes the process costlier. Because of this, aluminum becomes the main choice of the manufacturers to reduce the unit cost of the manufactured ACs. Copper coils in an AC are more durable than the aluminum coils because copper is stronger than the aluminium. The aluminum coils get damaged and need replacement whereas the copper coils are repairable and you can reuse them. Hence, copper coils are durable than the aluminum coils. 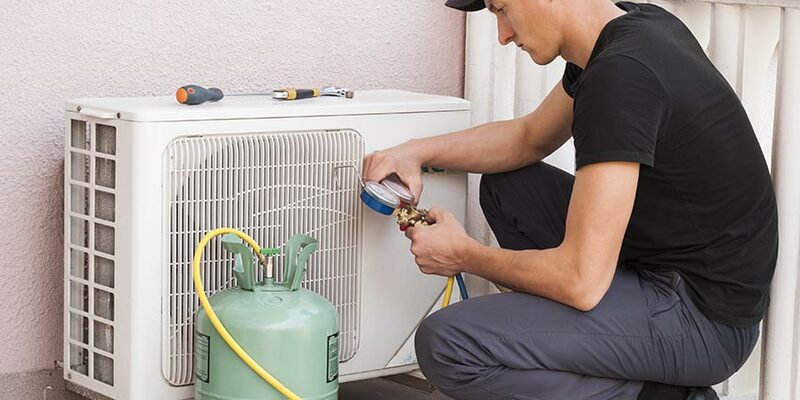 The condenser coils of an AC are fitted in the condenser unit which is usually mounted outside of the house. Due to the exposure of these coils to the harsh climate, bad weather, dust, and grime they need regular cleaning. In such conditions, copper coils are better than the aluminium coils. The copper coils are not prone to the drastic climate and due to their durability, they are easy to maintain and to clean for better performance. But the aluminium coils are prone to the harsh climate and get damaged easily. So to keep them away from the harsh climate they are placed in a heavy and covered cabinet which makes them difficult to clean and maintain. It is very important to keep your AC safe from corrosion because it damages the coils and results in leakage along with hampering the process of heat transfer. The corrosion of the AC becomes higher in humid climates, installed near seacoasts, and near the salty water bodies or the salty lakes. The damages happen because these areas contain lots of moisture in the air. When the corrosion begins, a layer formed over the coils which are non-conductive and reduces the heat exchange capacity of the Air Conditioner. In such conditions, both the coils need the same maintenance and care. But copper coils can be repaired easily than the aluminium coils if corrosion happens.Look for an AC with an auto-clean system which will clean the evaporator coil automatically to make it easy to maintain. You can find this auto-clean system in some of the Best Hitachi ACs and Carrier ACs. 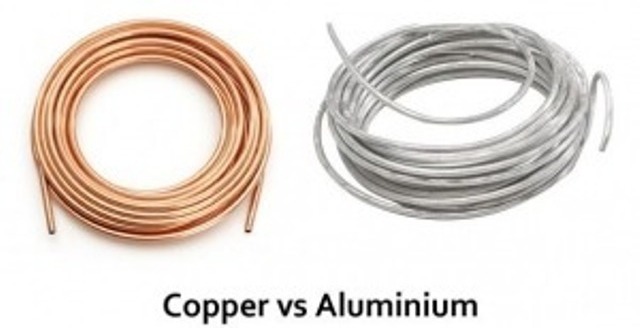 What Is Best Coil For AC – Copper Or Aluminium? As we have mentioned previously, each AC has three major parts like a compressor, an evaporating coil, and a condensing coil. Hence, we can understand how important are the coils for an AC. To choose the best coil for an AC we have given some comparison points above. But to make you more clear we have some more technical points regarding the efficacy of the best coil for an AC. 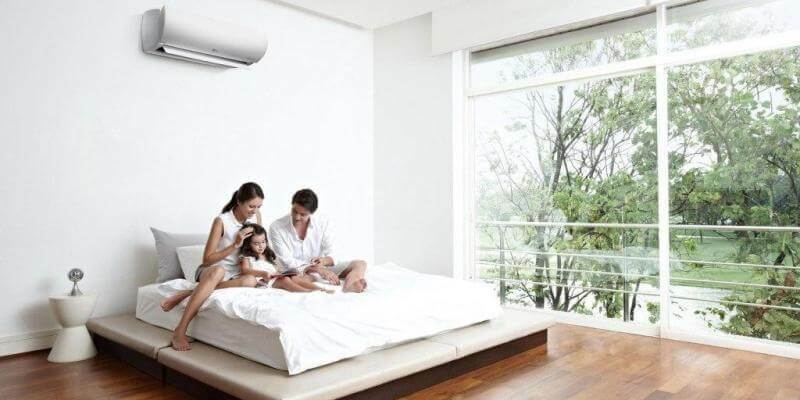 Go through these points to choose one of the best AC for you. The work of thermal conductivity is to measure the rate the transferred heat through the material of the coil. If the rate is higher it is the best coil. For the copper coil, the thermal conductivity is at 401 W/m-k which is almost twice that of the aluminium coil which measures only 237 W/m-k. Now it is clearly understood that the copper coil transfers heat much faster than the aluminium coil in an Air Conditioner and cools the room more effectively. The tensile strength means to measure how strong is the material of the coil to breaking under tension. If we will compare, it shows that the tensile strength of the copper coil per square inch weighs 50,000 pounds where the tensile strength of aluminum weighs 32,000 pounds per square inch. Hence, it is clear that the copper needs more force to bend into tubular shape and it raises the manufacturing cost than the alluminium coils. The speed of cooling capacity in an AC is the major efficacy of the system. In this case, the copper measures the specific heat (1 degree Celsius per unit) at of 384.4 j (kg k) whereas in aluminium it is 904 j (kg k). You can notice that it is more than half in the copper coils. It means that the low specific heat of copper heats up and cools down much faster than the aluminium coil. The copper condensing coil begins the radiation of heat into the external environment much faster than the aluminium condensing oil. When exposed to the atmosphere both the copper and the aluminum will oxidize. But the difference is that the aluminium gets oxidized immediately after comes into the air whereas the copper takes significantly more time than the copper. There are also differences in the properties of the forming of the oxide layers on the surface of both the aluminium and copper coils. The oxide layer of the aluminium remains thin because it prohibits the permeation of further oxidation. As a result, the process of oxidation terminates. In copper coils, the oxidation process continues without termination till the copper is consumed. In this point, the aluminium is more durable but it discharges the heat to the surrounding air because of its oxide layer. How To Know The AC IS Aluminium Or Copper? The best and simple answer is you can ask the salesperson whether the coil of the AC is of aluminium or copper. You can also check the “Specification” label to get your answer. In aluminium AC you will find the terms like bluefin coating, multi-channel, multi-jet etc. In copper AC the specifications will mention explicitly of the coil. You can also verify with the brand customer care to confirm the use of coil in the AC. It is obviously a smart choice to select an AC which will save your pocket without making holes in it. After reading about all the information given about the copper coil and the aluminium coil you can ask the salesperson about the AC with confidence. Nobody can fool you or confuse you about the performance of the coils or the other factors associated with them.